I would like to thank the publisher for sending me a copy of this book through bookbridgr in exchange for an honest review. Rose was just 24 when the love of her life was taken from her in a tragic car accident, leaving her a widow and wondering if she will ever love again. The accident changed her whole world, once an avid painter, Rose can't find it in her heart to pick up a paintbrush and start painting again. She sold the home that she shared with her husband, Lucas, and has had to start again to try to build a new life. Having lost her mother a few years before the accident, the only people that Rose has to turn to are Lucas' parents and her best friends, Emma and John. But the Robert arrives in Tatling to spend the summer, and Rose has to learn to forgive and maybe even to love again. The cover if this book is just beautiful and very striking. The yellow sun on the blue background makes it very eye-catching. This along with the incredible title, makes the book a winner visually. I know that if I walked into a book shop and saw this sitting on the shelf, it would be mine in the blink of an eye. 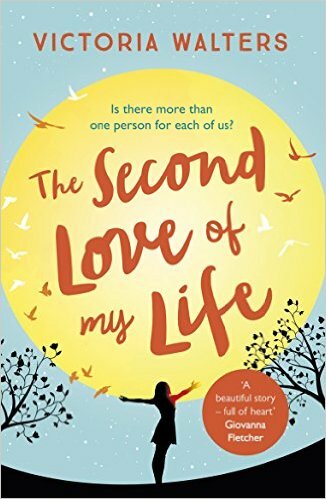 I thought this book would be funny and uplifting, which it was, but I wasn't expecting to feel the rollercoaster of emotions that I felt whilst reading The Second Love of my Life. At the start of the book when Rose was trying to deal with living her life without Lucas in it, I felt lost, just like she was. Throughout the book, I was happy and then sad and than happy again. My emotions changed every time I turned the page and I was astonished at how the author had managed to bring out so much emotion in me. Rose as a leading character was a breath of fresh air. In so many books, the leading lady gets everything she wants and everything turns out great for her at the end. The fact that this didn't happen to Rose is what made her believable and relatable. Rose is such an engaging character and I loved her from the very first page. I adored the friendship between Rose and Emma. When Robert was first introduced to the story, I wasn't sure about what I though of him, but by the end of the book, I really admired his character. The Second Love of my Life is engaging and fascinating. It is based around an event that could effect anyone at any time and it really made me think, and even though I finished the book a few days ago, Rose's story has stayed with me and I expect that it will stay with me for a long time to come. 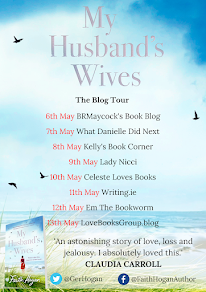 Victoria Walters has penned a beautifully real and thought provoking read. She should be applauded for the way that she handled the story with such care and attention and also for making it authentic. I only hope that this book gets all the praise and attention that it so rightfully deserves. The author is one to watch and is unquestionably talented when it comes to penning a novel. The Second Love of my Life is a must read and will not disappoint.